This article was originally published in The Mountaineer, written by Vicki Hyatt. It is reprinted here with minor changes. 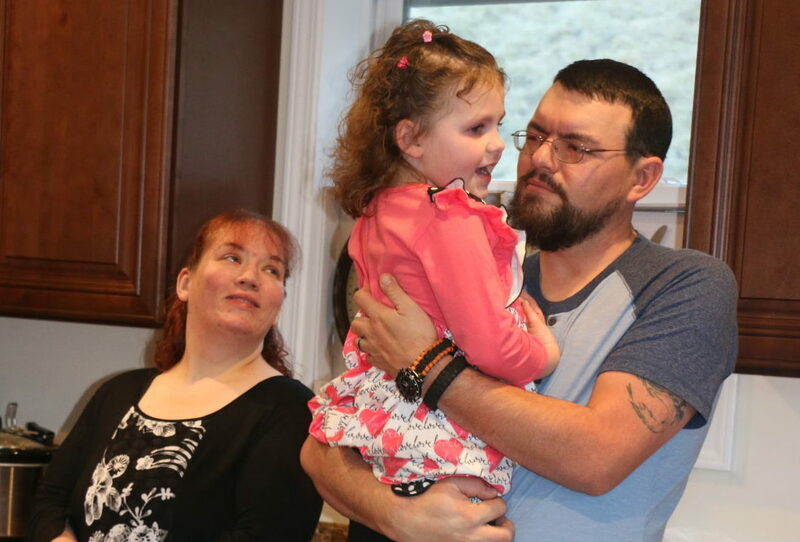 Last week was a joyous occasion for the Jeramie and Patricia Doran family when they were welcomed into their new home by some of the people who helped make the dream possible. The Dorans were the fourth family to move into a Habitat for Humanity home in Walton Woods, and their home is one being constructed in Western North Carolina through the State Employees Credit Union’s ambitious Mountains-to-Sea Challenge. The challenge’s aim was to fund the construction of a Habitat for Humanity home in each of North Carolina’s 100 counties, and the SECU Foundation has put up $10 million to make it happen. After a home is built, SECU buys the 0% interest mortgage from the Habitat affiliate so that the funds can immediately go into building another home. Jamye Sheppard, Haywood Habitat executive director, thanked the many supporters on hand for the home dedication, including Gary and Sarah Jane League, who donated the land for the Walton Woods development, State Employees Credit Union representatives, the volunteers who helped build the home, and the many donors who make the Habitat program possible in Haywood. Sheppard said the SECU home is the 47th Haywood Habitat for Humanity has built in its 30 years in existence. A New Subdivision- Once build out, Walton Woods will include eight Habitat for Humanity homes, plus a playground. Photo by Vicki Hyatt. She spoke of the vision for Walton Woods, a community where the property donation allowed the organization to think outside the box. Habitat could save funds by constructing homes in a single area as opposed to scattered sites across the county, plus get more houses to the acre, thus saving money on property acquisition. There’s an added bonus for the homeowners. The Dorans contributed 510 hours to help build the program. 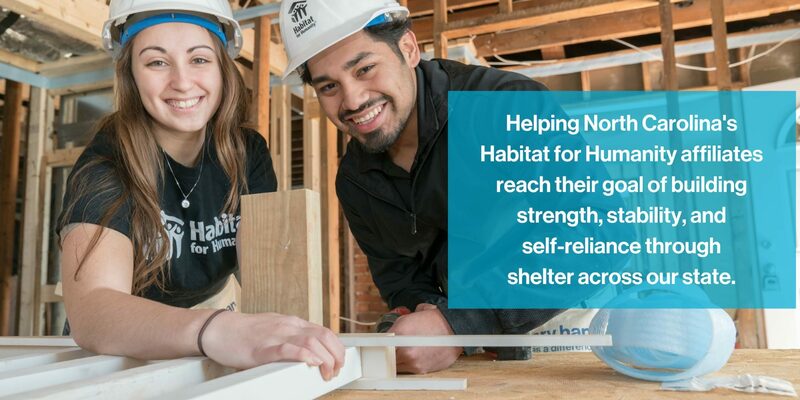 Families selected to receive a Habitat home must meet certain income requirement to qualify and must contribute at least 400 volunteer hours as their home is being built. The Dorans- Jeramie Doran holds daughter Madison as Patricia looks on. Photo by Vicki Hyatt. As they addressed the group, Patricia Doran thanked those in attendance for helping their dream come true. Each habitat home costs about $70,000 to build, not counting the $30,000 or so invested in property and site work. Jeramie Doran lived in Waynesville as a child and had many fond memories of the mountains. He moved his family back to Haywood County several years ago to give his children the same experience. When the Walton Woods development is complete, it will have eight homes and a playground. Jeramie Doran said it is nice to already know many of the neighbors around his home, and his two children are looking forward to making friends with the other children.